“John Faure of Vergenoegd’s family has lived in South Africa for over two centuries. The house dates back to 1773, and wine making has been a family business since 1820. Vergenoegd hosts its visitors at the winery’s restaurant, and the Runners have become a starattraction, especially when the ducks are herded onto the lawn after the day’s work foraging for snails. This duck parade, and the swim on the ‘dam’ (lake), has become a real photo opportunity, and must advertise the Indian Runner as ‘the duck to have’ in SA. John is a keen breeder, exhibitor and judge, winning Showman of the Year for 2009. His birds are top quality stock, some of them having originated in the USA. He has good quality dark-phase Mallard Runners as well as Buffs, Black, White, Blue and even Trout and Apricot Trout. As you can see from John’s photos, the birds are a super type. They were photographed in December – not the best time for the southern hemisphere of course. John has joined the increasing number of waterfowl breeders becoming globe-trotters. In the summer of 2009 the family, which has ties in the Isle of Man, visited the UK and also did a round tour of breeders Chris & Mike Ashton, Graham Barnard, Graham Hicks, Denise Moss and Anne Terrell. He’s a member of the Indian Runner Duck Association, and interested in the colour genetics of the birds. On his return to South Africa, the incubators were full, and the first lot of hatchlings growing to be ready, by October, to join the other working ducks in the vineyards. Whilst John experienced a lot of rain here in the wet summer of 2009, they also had an exceptionally wet winter in South Africa. The snails did thrive, and presented a much bigger problem, in the foliage and bunches of grapes, than usual. So the working ducks, tall enough to reach up well into the vines, were in big demand to help produce the wine which, of course, has their image on the label. Vergenoegd has recently set aside a portion of the farm containing endangered Renosterveld and Wetland eco-systems for conservation and rehabilitation. Over the years alien vegetation has been removed. Especially the invasive Port Jackson and Rooikrans bush was removed from this portion of farm and this has allowed the natural fynbos to slowly return and increase in numbers. Farming practices were also adapted to limit any run-off or build up chemicals especially in the areas adjacent to the wetlands. This has encouraged a large number of fauna and flora species in these areas evident by the large and varied bird life to be seen at Vergenoegd. Some of these include Secretary birds, Blue Cranes, Fish Eagles and other large raptors. Those with an interest in birding are welcome to view the birds on the Estate. Furthermore the large variety of waterfowl is also a sight to see. 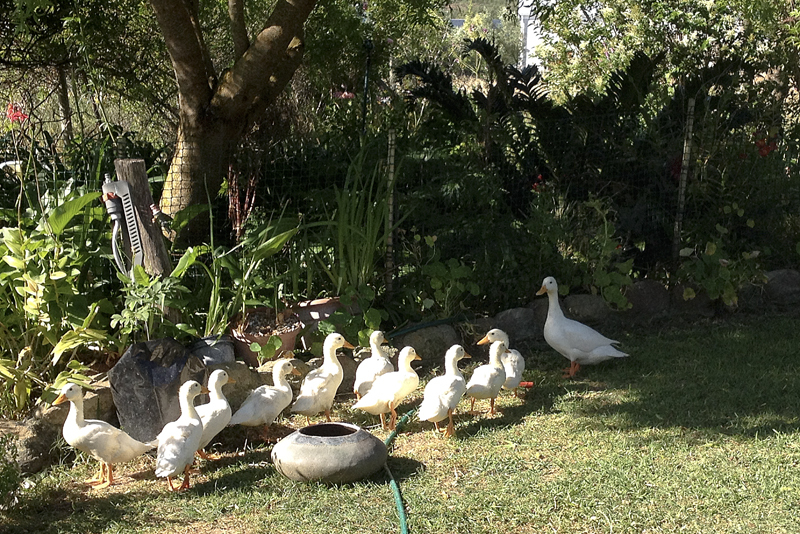 The Estate has harnessed the Runner Ducks as workforce. The Runner Ducks forage for snails and insects in the vineyards contributing to non-invasive farming practises on the Estate. As they have played their part in contributing to Vergenoegds biodiversity status, they have been honoured by having the Runner Duck range named after them. The range consists of three blends; a White, Rosé and Red. Easy drinking wines that is well suited for consumption after a hard day at work! Melt 500 g Stork Bake margarine in a bowl in the microwave. In another bowl, place 1½ cup sugar, 3 eggs and 1 tsp salt and beat with a whisk. Then add the Stork Bake and mix well. Finally add 1,5 kg selfraising flour and 2 tsp baking powder. Mix and then knead it all together. 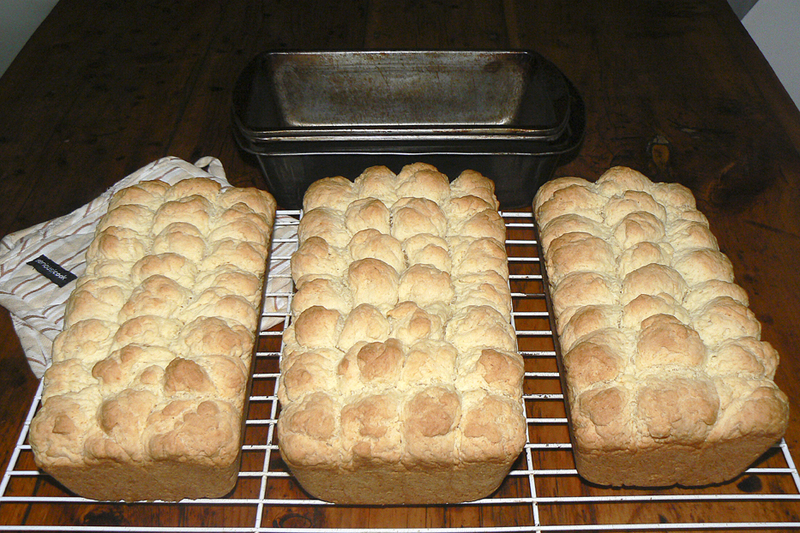 Grease 3 bread tins. Roll balls about golf ball size and pack in rows into tin. Pack them next to each other and then just push them a little bit into each other. 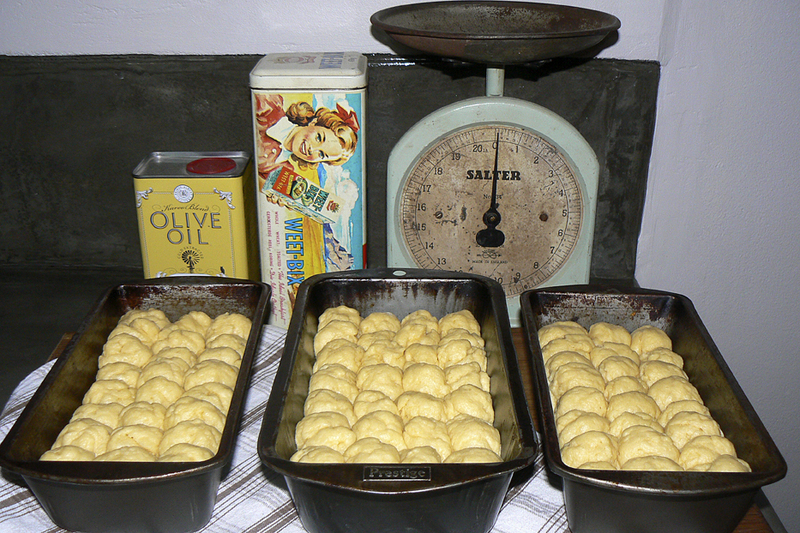 Bake for 50 min –1hr at 160/180°C. Depends how hot your oven is. Just check when they become a little too brown, cover with tin foil. Let them cool slightly and then break the balls apart. Dry overnight in oven. I set my oven at 50°C.